Before passage of the Affordable Care Act (Obamacare), too many people simply went without medical care, declared bankruptcy because of huge medical bills, or utilized expensive emergency rooms for routine health care problems. And not enough younger, healthier Americans purchased insurance to help spread the risk. Obamacare solved some of these problems, but not all. There were successes, especially in the early years. Overall, insurance companies were making a profit, emergency room visits were down, and many young adults, up to the age of 26, were able to remain on their parents’ policies. And in the state of New York, where the ACA has been fully embraced and managed as it was designed, the uninsured today make up just a tiny fraction of the population, a bit over 5 percent. The ACA may well have been a better product if the Republicans had chosen to engage in the crafting of it. But since they declined — and immediately starting attacking it — we’re now faced with a conundrum. Americans have clearly demonstrated they want the ACA. And they want their leaders to figure out how to fix it. Yet how do those Congress members, committed to killing a law they have detested for nearly a decade, suddenly find the energy and enthusiasm to help craft a better version? And what of those on the other side, who fought so hard to keep the ACA from being repealed? How do they muster interest in working with those they believe do not have the heart or commitment to do the difficult and painstaking work of creating a better ACA? First and foremost, Republicans need to figure out how to respectfully work across the aisle with the opposition party. The Democrats did the heavy lifting in giving America the ACA, and they fought hard to keep it. If the Republicans are truly interested in fixing it, they need to come to the table prepared to work with Democrats who are offering concrete solutions. As many Democrats warned, Obamacare is not a problem-free answer to this country’s health care issues. Though there are some Dems who believe that if the president would cease threatening to withhold cost-sharing subsidies to insurers and enforce the rules regarding the purchase of insurance or payment of penalties, the law would work just fine. Other Democratic leaders think there are parts of the ACA that do need some tinkering. Among their suggestions are higher subsidies and the addition of a “copper” option, beneath bronze in the list of plan choices. This plan would have cheaper premiums and higher deductibles and would be marketed to younger, healthier folks, encouraging them to purchase some form of basic health insurance. — Shore up the insurance markets. About 200 companies left the markets because the plans they offered provided almost no coverage and the ACA forbid the sale of them. Many of the states that had few choices in insurance providers before Obamacare still have few choices. — Add a public option to the insurance markets. It would help drive down costs. — Tell states to immediately expand Medicaid. This act alone will help stabilize hospitals, particularly rural health centers, which still have to provide care even when there is no avenue for reimbursement. — Allow Medicare to negotiate lower drug prices. It is ridiculous that the VA can bargain with drug companies but Medicare cannot. While it may be a less-than-perfect vehicle, the ACA has been a much needed starting point in addressing a host of entrenched problems. Check out the Commonwealth Fund’s most recent performance rankings on health care systems worldwide. Of all the wealthy nations, the United States ranks dead last on most measures. It should be manifestly shameful to every American that the United States spends as much money as it does on health care and ranks this low. Yet it is still a very useful document if we pay attention to what it is saying. Essentially it reports that we still have a considerable amount of work to do to repair our broken system. But it offers us enough successful models to study so that ultimately — if we create fixes in the existing law, continue and build upon those favorable outcomes now taking place under the ACA, and perhaps borrow from what has worked in other countries (the Netherlands has a successful model similar to Obamacare) — the United States could have a health care system that insures everyone and is second to none. The ball is in your court, congressional Republicans. Will you cooperate with the Democrats to build a better ACA and a healthier America? DURHAM – The North Carolina NAACP and Democracy North Carolina issued this joint statement following the meeting of the Redistricting Committee of the North Carolina General Assembly, which is under federal court order to remedy by September 1, 2017 the unconstitutional, racially-gerrymandered maps that brought the legislature to power. Today, the committee adopted, along party lines, nine criteria for legislative redistricting, which include prohibiting the consideration of race in the drawing of new maps, while permitting precincts to be split for partisan advantage, the protection of incumbents, and “political consideration” of election results data. It is the solemn duty of every president to protect the American people. But this week, President Trump decided to put our citizens and the world at risk. By recklessly live-tweeting threats of nuclear war from his private golf course, and amping up his bellicose rhetoric in the following days, Trump has shown once again that he lacks the temperament to be Commander-in-Chief. This loose talk of war undermines America’s credibility and endangers our national security. The serious threat posed by North Korea will not be solved with 140-character fits of bluster, but with reasoned dialogue, consistent diplomacy, and coordination with our allies. We need new leadership to deal with the serious threats and difficult challenges we face as a nation. That’s what’s at stake in every upcoming election, and that’s why we must be a unified Party. I sat down with Now This to talk about the direction of the Democratic Party and how we can heal our divisions and win elections in the coming weeks, months, and years. 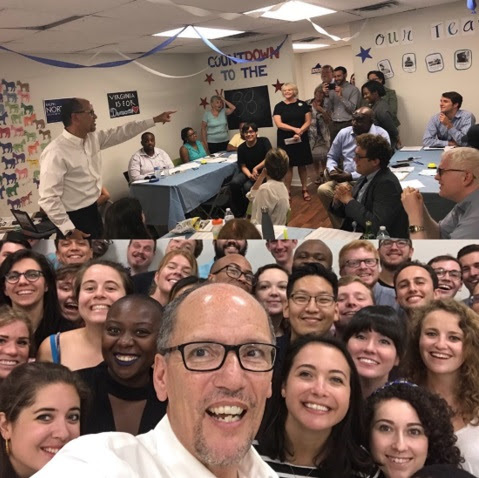 On Thursday, I spent the day in Richmond, Virginia, to rally organizers and kick off a phone bank for their upcoming election this November. Ralph Northam, our candidate for governor, has a plan to create economic opportunities for all Virginians, no matter who they are or where they live. That’s why we recently announced an initial investment of $1.5 million in the Virginia governor’s race — one of the largest investments to-date by a Democratic group. As part of that investment, we’re immediately doubling of the number of grassroots organizers on the ground and significantly growing our digital, data, and tech infrastructure. Our work as a Party is already paying off across the country, even in districts Trump won heavily last November. 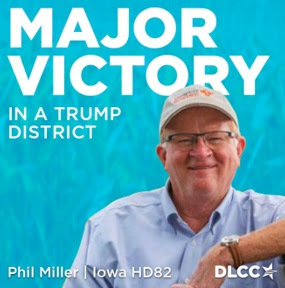 Just this week, Dr. Phil Miller was elected in Iowa’s 82nd legislative district. 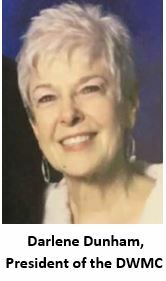 As a small business owner, president of the Fairfield school board, longtime resident of the district, and a Democrat, Dr. Miller will stand up for the most vulnerable and help build a brighter future for Iowa’s working families. The tide is turning against Trump and Republican lawmakers. Trump won this rural district by more than 20 percent last year, and Miller carried it by about 10 points. That’s a 30-point swing against Republicans since November, and shows that rural Iowans are rejecting an agenda that prioritizes the wealthiest at the expense of hardworking families. 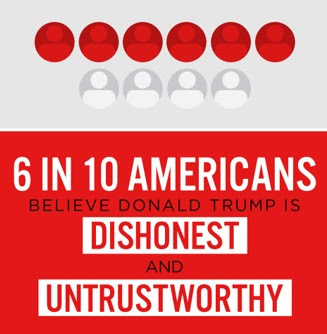 The reason we’re seeing these swings is simple: the American people just don’t trust Donald Trump or the Republican Party to fight for them. They know that Democrats have an agenda that prioritizes working families instead of the wealthiest Americans. But a strong Democratic agenda is not enough. We also need to be protecting people’s right to hold their elected officials accountable at the ballot box. Meanwhile, Donald Trump’s Justice Department continued this week to chip away at the fundamental right to vote by changing their position in a critical voting rights case at the Supreme Court. Ohio’s voter purge was unlawful before Donald Trump was elected and it’s unlawful now. But by re-interpreting the law to fit Trump’s bogus claims about ‘voter fraud,’ Trump’s political appointees at the Justice Department are making it possible for states to purge more voters from the rolls and deny millions their right to participate in our democracy. Our democracy is stronger when more people have access to the ballot box – not fewer. That’s why the Democratic Party will keep fighting to protect and expand the right to vote for all Americans, even if Trump’s Justice Department won’t. Just this week, the DNC announced a new, permanent voter hotline to help protect the fundamental right of every American to participate in our nation’s political process. 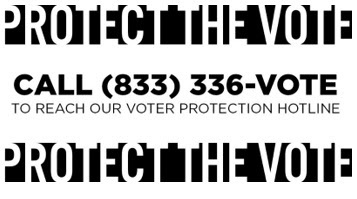 This year-round hotline is one of the many steps we are taking in response to the real threat to democracy posed by Trump’s sham Presidential Advisory Commission on Election Integrity. As we celebrated the anniversary of the Voting Rights Act this past Sunday, it’s important to remember that we can never take our democracy for granted. The moral arc of the universe bends towards justice, but not on its own. We are heirs to the legacy of countless activists and organizers who have bent that arc, and it’s our responsibility to carry on their fight. McGrath is one of more than 11,000 women who have chosen to pursue public office in the wake of the 2016 election, according to EMILY’s List. McGrath sees herself as part of the fight to elect more women nationwide.